Congratulations to All the 10 Diploma Students who have shortlisted for Royal Enfield on 16.08.2016 in On-campus drive (India) in off-campus Selections. The global technological scenario is changing faster than ever, and there is a great demand for technical professionals who can keep pace with the change. 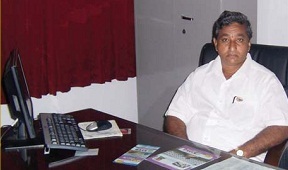 With this end in view SVVS Educational Society headed by Sri N. Satyanarayana Raju established Nadimpalli Satyanarayana Raju Institute of Technology (Formerly Known as VITS College of Engineering) to impart high quality technical education in the fields of Engineering and Management. The prime concern was to empower young boys and girls joining our institution, with talent and creativity to meet the challenges they encounter in the 21st century world of technology. We are proud that our institution with well-qualified and committed faculty and hi-tech infrastructure enable our students to achieve and further their career in the challenging world. With this note of confidence, I warmly welcome our freshers and am sure that will enjoy the high quality of education imparted in the various disciplines and upon that foundation, build a great future for them selves. 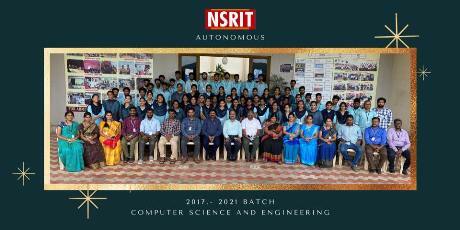 08933 - 220125/220126 nsritoffice@gmail.com office@nsrit.edu.in N S RAJU INSTITUTE OF TECHNOLOGY (NSRIT) Sontyam, Pendurthi-Anandapuram Highway, Visakhapatnam - 531173, Andhra Pradesh, India. I’m delighted to talk about NSRIT that I’ve visited recently (on 4/10/2018) that the standards of the students are up to the mark. They’re good at Communication and Reasoning Skills. The facilities, provided to the students are outstanding. The infrastructure of the college is a benchmark for the college. I heartily wish NSRIT all the best. Enthusiastic student fraternity and highly committed management. P.V.Gopala Rao, General Manager, Hindustan Shipyard Ltd. The Vision of founder of this college is very appreciable. Located in very nice place, a good ambience for all the students to learn under the guidance of good faculties. I wish the founder of the college , faculty & Students a very bright future. An Excellent Awareness session for budding students and their parents. Very good initiative. wish your college, the VERY BEST! Thanks.